At the film’s Los Angeles press day, Collider got the opportunity to sit down and chat 1-on-1 with British actor Hero Fiennes Tiffin about the appeal of playing this character, taking on his first lead role in a film, how grateful he is for the devoted fans of this series of books, shooting the lake scene, the most fun and most challenging days on set, how he approaches his career, and the two TV series that he’d love to do a guest spot on. Collider: It seems like this is one of those characters that, when you read the script, anyone would want to play him. HERO FIENNES TIFFIN: Exactly, yeah. And you weren’t even familiar with the books series, or aware of how popular they are? FIENNES TIFFIN: No, I wasn’t. I use the phrase “living under a rock,” when I say that I hadn’t heard of it while so many other people had. But as you said, the character is the kind of character that anyone would want to play, at any point, but especially for their first lead role. I got to play such a complex, troubled, mysterious character, where it’s slowly revealed why he is the way he is, revealed over time to the audience. This movie also gave you the opportunity to do a lot of different things. FIENNES TIFFIN: Yeah, exactly. It was really nice to play a variety of emotions, and do a variety of things. With this not just being a lead, but my first lead, I feel like that makes it all the more fun. It was just cool to be able to play such an interesting character. How does it feel to play your first lead? Was that something that you felt ready for? FIENNES TIFFIN: I feel like it’s something that you can’t be ready for. You just prepare your best and realize that there are some things that you are not going to know, until you get there and find out. It was a really fun experience. I was always ready to jump into the deep end and figure out how to go through the experience. That’s exactly what we did, and it was great. What was this audition process like, especially having been cast before you even knew who you’d be the Tessa to your Hardin? FIENNES TIFFIN: They cast Tessa two days before I jumped on a plane to go to Atlanta for two months. A text from Jennifer Gibgot, one of the producers, popped up with a picture of Jo, that said, “This is Tessa, by the way. You’ll see her when you meet her, and we’ll see you in two days.” I feel like my approach is very much, you get what you’re given and you work with it. I just focus more on the stuff that I have control of, like learning the lines early on, learning the character inside out, and all of that stuff. Then, you’re presented with the person who you’re playing opposite and you do the lines to the best of your ability. If everyone does that, that’s how you make a good film. 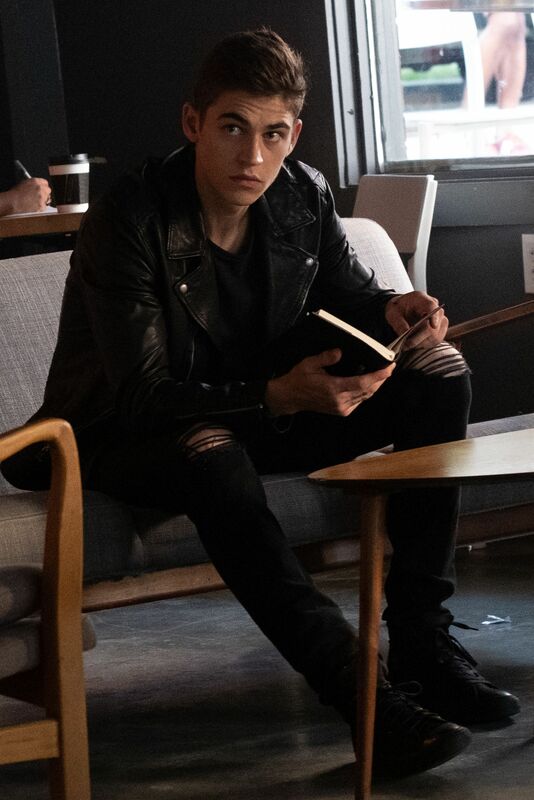 Did you have a moment when really felt like you got who Hardin Scott is? What was it like to realize that not only is there this crazy fan base for these books, but that the fans have their own name, Afternators, and these characters have a couple names, Hessa? FIENNES TIFFIN: I think that maybe I’m taking it for granted a bit. On my next project, I’m gonna be like, “Where’s all of the support?” It’s so amazing. We’re so grateful to have so many people supporting us. They’ve been like, “We think you’re perfect for the role. We can’t wait to see the film. We love your work.” That’s really, really flattering and nice to receive. Maybe we just don’t see the hate side of it, but I think we’re lucky, in that sense. I hope they continue to feel the same way, and that they don’t watch the film and change their minds. I’m comfortable that we’ve done a good job. 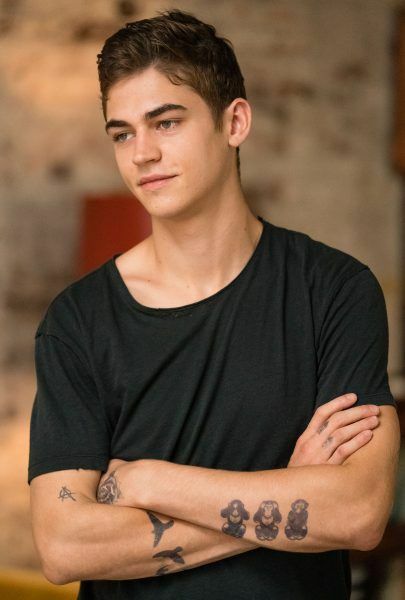 In the film, Hardin feels like he’s been softened a bit from the books. FIENNES TIFFIN: I think it makes a really entertaining book, but if you bring that to the screen in 2019, it’s just a completely different thing. It’s good that everyone, including Anna [Todd] and Jenny [Gage], acknowledged that. I think it was important to make those changes and get on board together. I feel like the way that it’s been adapted has been very good and professional. With this film, a lot of people are going to be talking about the lake scene, which is a beautiful scene, but it seems like the reality of shooting that might be more challenging than you expected. What was that like to shoot? Was it hard to get through dialogue and not choke on water? FIENNES TIFFIN: Yeah. The first time we got in, it was really hot and sunny, so I wanted to get in. It was just a nice body of water, on a really hot, humid day in Atlanta. We were very ready to jump in. After a couple of days, where your hands are all pruny and you keep getting out, and you don’t dry off because you didn’t bring a towel, we just stood there, freezing on the dock. All in all, it was really fun. There were some bits where, when we were talking and about to kiss, I was wearing flippers because I could just about stand if I did. If I’d ever slipped, I would have drowned, but you have to adapt. It was so nice to have a variety of things to do, and the lake scene was really fun. Having to tread water and say lines without being out of breath was definitely a bit challenging. I got a cramp when I was on tiptoe, a couple of times. But, we got there in the end. It definitely would have been a lot less flattering, if they chose different shots, but it looks good. With a scene like that, did you feel an extra sense of responsibility because that is a moment that fans of the book are going to be waiting for? FIENNES TIFFIN: Yeah. We were quite lucky, at the time, to not be too aware of that. In the script, there are some very impactful, important scenes, but I personally didn’t think, at the time, “This is a scene we have to get perfect because, if it’s not, then the fans are gonna think it’s a different film.” It’s good to have that freedom and not feel too much pressure there. You’ve been going all over the world with this film. What’s it like to hear the reactions in different countries? Do you find that people are responding to the same things, or are they responding to very different things? FIENNES TIFFIN: They respond to the same things, but in different levels. Some groups of fans are more enthusiastic than others. There were a lot of screaming in Brazil and Spain. In France, there was a little screaming, but everyone was very civil. It’s funny to see how different fans respond differently, in different areas. Across the board, it’s just been extremely supportive It’s just really flattering to have a bunch of people saying, “You’re great. We love this. Thank you.” It’s a good ego boost, so we’re grateful to them. Hopefully, when they see the film, they don’t change their mind. What was the most fun day on set? FIENNES TIFFIN: Maybe the first day of the lake scene, just being able to jump in, was the most fun. At that stage, we were really comfortable with the cast and crew, so that was just fun to do. And I really enjoyed all of the group scenes. We’d spent a lot of time off set together and got to know each other, so it was nice to be able to get on set and do what we were there to do together. Was there a most challenging day? FIENNES TIFFIN: There was one day where most of the cast was all in one scene, and you have to get a lot of different shots to get coverage of everyone, so you have to do the same very emotional scene, again and again and again. Obviously, you wanna do your best when you’re off camera, for the other people to feed off of, but it does take its toll. You have to be quite tactical about where you put all of your effort and make sure that when it’s your shot, you get it right. That was challenging, but it’s nice to jump in the deep end and test yourself.